Raleigh Denim teams up with River Takada-Capel of Rivtak Handmade for Lobby Call’s second Make & Mend Party: Radical Indigo. Meet on the patio where Raleigh Denim will supply kits for assembling canvas tote bags + needles and thread for mending and River will set up an indigo dyeing workshop station in the cobblestone alley. 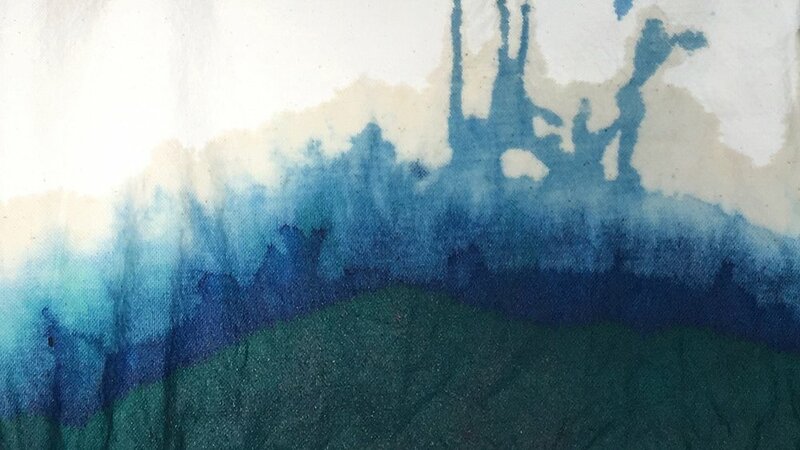 Experience the beauty and ease of dyeing natural fiber with the beloved dye utilized by ancient cultures in Japan, Africa, India, Egypt, and countless others for thousands of years as you spend the afternoon with us making & dyeing totes, mending your ripped and torn denim, and enjoying coffee, tea, and cocktails from the bar. Free event though space is limited, reservations required.